As of this writing (Sunday 6 PM PST), futures are up around 1%. Chances are good that global markets rally on Monday and Tuesday signalling a landslide win for Clinton and Democrats on Tuesday night. Last week SPX broke through its Old PDL-0 which was an important support. 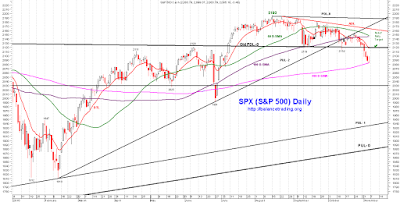 Chances are good that SPX back test that support on the back of the election relief rally this coming week before resuming its sell off to test support around 2060-2020. 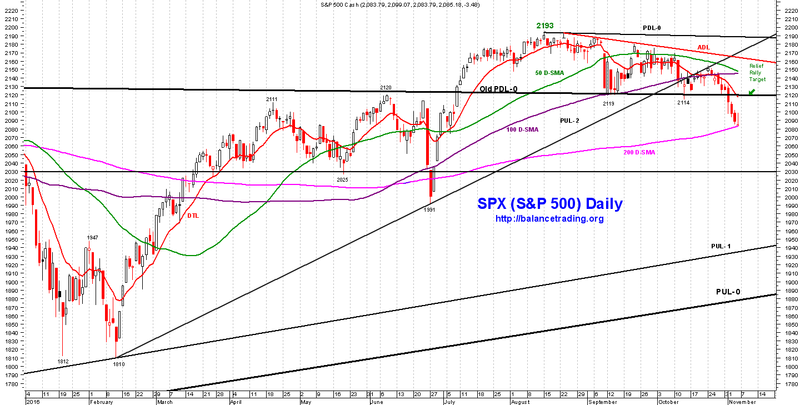 SPX sold off last week and tested its 200 D-SMA. 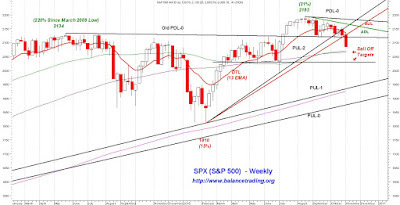 Chances are high that SPX rallies early next week on the back of Clinton's victory to back test its Old PDL-0 and DTL around 2110. After that I expect selling to resume. No change, my plan is to stay in cash for now.